This was going to be the first novel publish by Chuck Palahniuk but the publisher find it really disturbing and decided not to go ahead. After the success of Fight Club they gave it a second shot. The story follows a disfigured super-model who goes by many false identities given by Brandy Alexander, a transsexual with whom she spends most of the book. From the moment they meet in the hospital you’re thrown into a menagerie of eccentric characters that goes from a triage of drag queens to a special vice agent who is obsessed with how he looks in a speedo. The story touches deeply in the burden of being perfect and how can she find new beginnings after her way of life is literally rip apart. This is no light reading, but as all of this authors work is beautifully executed. So that’s 7,369 pages down, 42,373 pages to go. 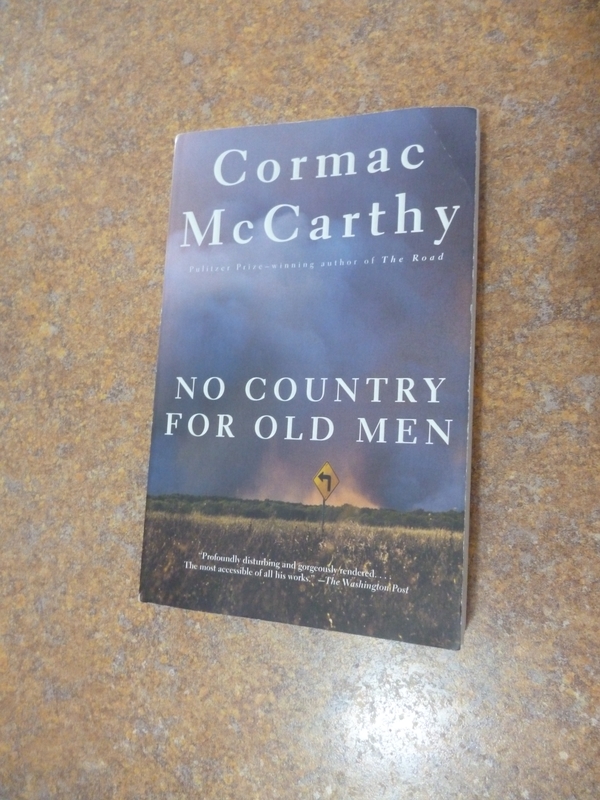 This is the second book of Cormac McCarthy I have read this year, and let me tell you as always he doesn’t disappoint. Of all the book I have read by this incredible author this one is the most accessible and will be a great launching point for someone who is looking to delve in his amazing body of work. The novel is set in 1980 on the border of Mexico and the United States after a drug deal goes terribly wrong, good old boy Llewelyn Moss stumbles upon the massacre, where he finds a huge shipment of heroin and a couple of million dollars abandon. Against his better judgement he takes the money and opens up a whirlwind of trouble mainly in the figure of the psychopath hit-man Anton Chigurh. Following their steps is veteran Sheriff Ed Tom Bell, he also provides so in-depht thoughts about the rise of violence and the degradation of society. Touching on subjects that are both timeless and the building blocks of our society. McCarthy make us dwell on the very things that makes us human and how sometimes they transform us into monsters. So that’s 6,965 pages down, 42,777 pages to go. As I approach the end of the eleventh book of this year I can see what has become a tradition rapidly approaching. 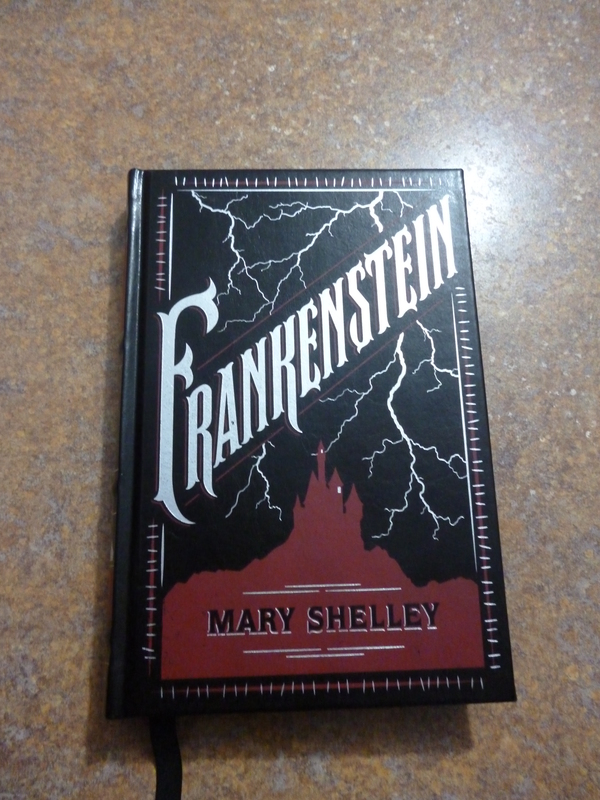 Like last year I plan to read Frankenstein by Mary Shelley. It’s one of my favorite book and for the foreseeable future I plan to read it at least once a year. Now my only conundrum is which edition to read. 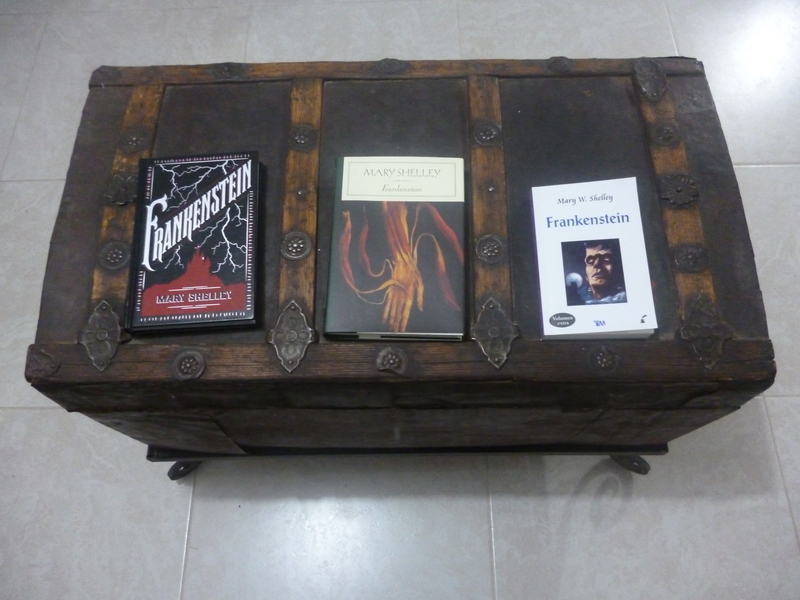 As I mention it another post I just recently bought three different editions, so I’m asking for your help to decide which one to read. Barnes & Noble Leatherbound Classics. Barnes & Noble Hardcover Classics. You can cast your vote my commenting which edition you prefer. Thanks for your invaluable help, Happy Readings!!!! As the other volumes of this fantastic story it centers on Hatter Madigan, bodyguard of Princess Alyss of Wonderland, and his never ending search for his lost princess. Is the latest entry of The Hatter M Institute for Paranormal Travel efforts to map he’s journey through our world from 1859 to 1872. We find Hatter Martigan in San Francisco circa 1870 in search of an long last samurai only to find himself face to face with a very unexpected zen master and her journey back to Japan, an blade collecting pseudo-Captain, a memory of the forge in the millinery, a much deserved vacation in paradise , some Japanese demons control by a huge pumpkin, a lost brother and more importantly the zen ideas that could easily reshape his quest. The breathtaking artwork is beautifully render by the talented hand of Sam Makkonen, it looks like a cross between Ben Templesmith and Dave McKean. The hardcover edition hits shelf on June 11, 2013 be sure to pick it up. Or you can also support Frank in his Kickstart project at http://www.kickstarter.com/projects/149372651/hatter-m-zen-of-wonder but hurry there is only 5 days left. Although my book shelfs are overflowing with tomes I haven’t read, the temptation to add just a bit more always win over reason. Sure I have plenty to last a few years but with books it’s never enough. 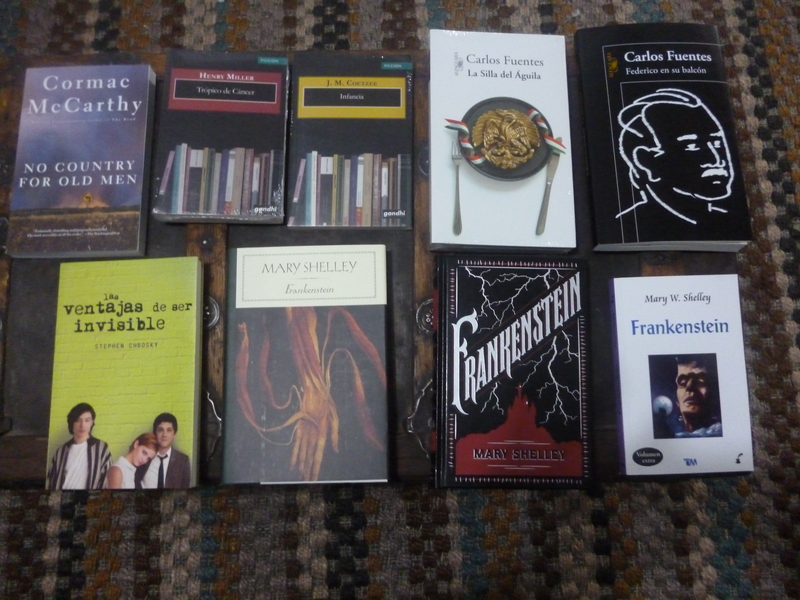 This time my loot was quite good, nine books in all. Well let see what new things the next months bring to my already abundant shelfs. Couldn’t be happier to arrive in this year first milestone. The 10th book of the year! 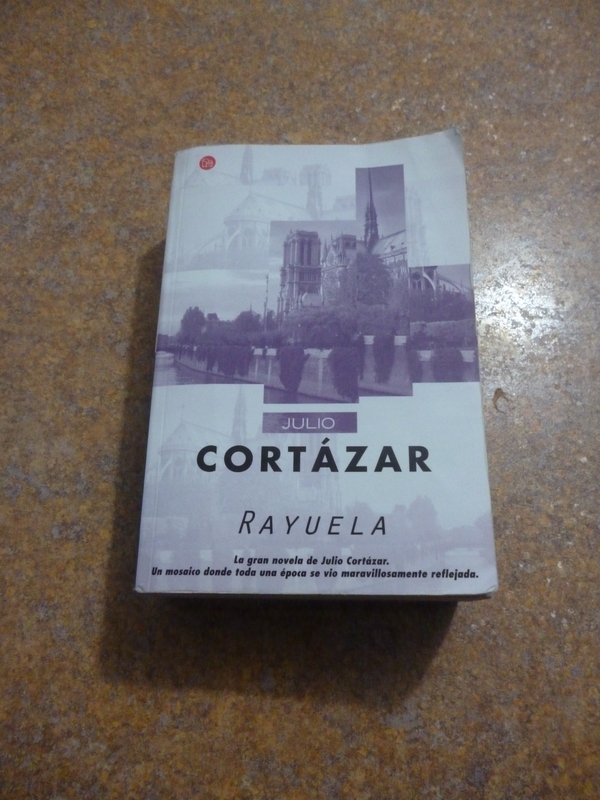 This honors fell to the master-piece by argentinian writter Julio Cortázar, Rayuela. The story chronicles the life of Horacio Oliveira which mainly centers in two periods of his life. The first being when he lives in Paris, apparently he goes there to study but never does, where he forms a group of rag-tag bohemians known as ” El Club de la Serpiente” and haves torrid love affair with “La Maga”, event that deeply scars him, that even when he returns to Buenos Aires her ghost keeps haunting him. The second period he goes back to Buenos Aires and reunites with a old friend, Traveller. He embraks in a couple of odd jobs in a circus and as an night orderly in a mental hospital. All of this while having visions of Talita, Traveller’s wife, as she was her long lost “Maga”. The innovative form of a non linear way to read the book, gives the reader, control over how to enjoy this master-piece. A must-read for anyone who enjoys latin american literature. This puts me right on schedule with my goal, so on to the next book, No Country for Old Men by Cormac McCarthy. So that’s 6,512 pages down, 43,230 pages to go.